I've always got a bit over-excited at Christmas and becoming a parent hasn't done anything to reduce that! 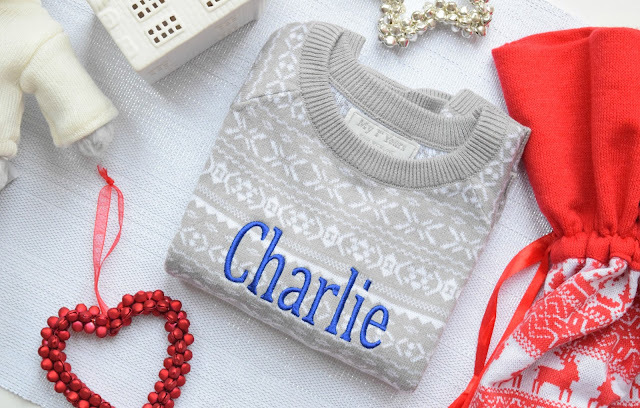 Charlie's My 1st Years Fairisle sack (it's just been reduced) is already stuffed full with neatly wrapped presents but, as he's not a regular reader of the blog(! ), I thought I'd give you a sneak peak of what's inside to give you some last minute ideas! First up is this gorgeous Fairisle knitted jumper which I love. The Fairisle knit heralds Christmas while the soft dove grey makes it a much more subtle festive jumper and is one of my favourite colours to boot! As an added bonus, it's also just been reduced! Every child needs a cuddly toy and this personalised Jelly Cat grey donkey is simply adorable! He is so super soft that I had to be persuaded not to tuck him under my pillow and keep him for myself! I love Mothercare and ELC; they're a frequent shopping stop and I rarely come out empty-handed. Their gorgeous Christmas video gave me some ideas, so when I popped in several weeks ago and spied this gorgeous trike I knew it was the perfect toy for a boy on the move. 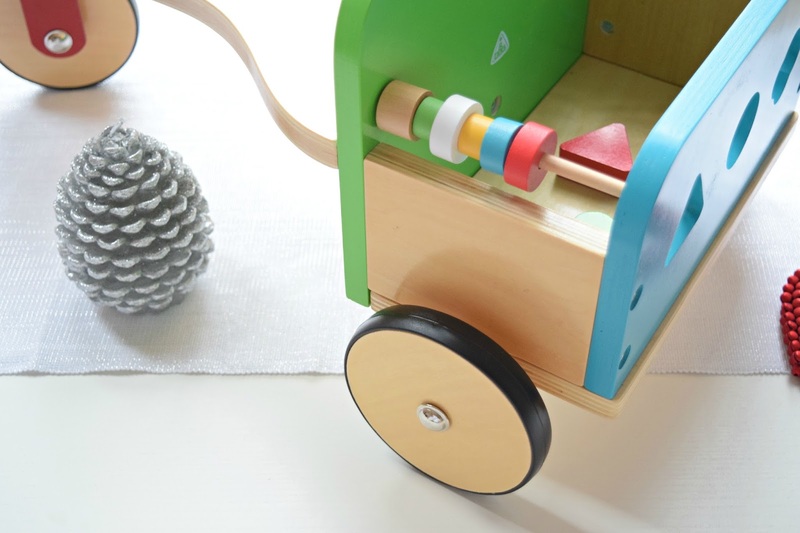 I love that it's wooden and the bold primary colours make it really fun, plus the trailer (complete with toy bars) has space for your little one to pop their favourite toys in while they're on their travels! It needs assembling so you'll need a few tools, but it doesn't take long. My sister gave it the best compliment when she couldn't guess where it was from and priced it three times its price tag. Finally, I don't think any Christmas stocking is complete without a selection of Christmas stories and, being an English teacher by trade, I may have gotten a little carried away! Every child needs their own copy of The Night Before Christmas to be read each Christmas Eve but I had to make several trips to the shops to find this hardback one with its traditional illustrations. Next up is Can You Say It Too? 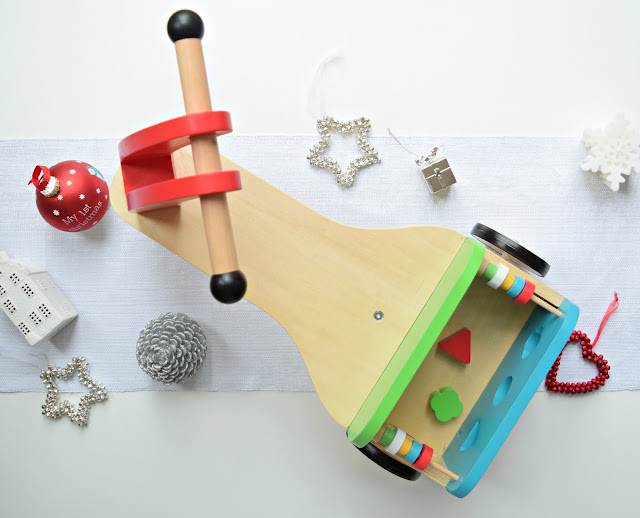 Jingle Jingle which has flaps and is perfect for entertaining your little one. Shirley Hughes Alfie stories are iconic, whether it's the stories or the illustrations, so Alfie's Christmas was always going in Charlie's stocking. Of course, no Christmas is complete without The Snowman, but with his furry best friend, it's The Snowman and The Snowdog for our little one. Plus this copy has a CD which has two readings of the story, one in storybook form and the other to accompany reading the paperback. Finally, I stumbled across Santa is Coming to Eastbourne when I was browsing the bookshelves in Watersones so had a flick through, convinced it would have a few token references, but it's really great and the publishers cover so many locations. 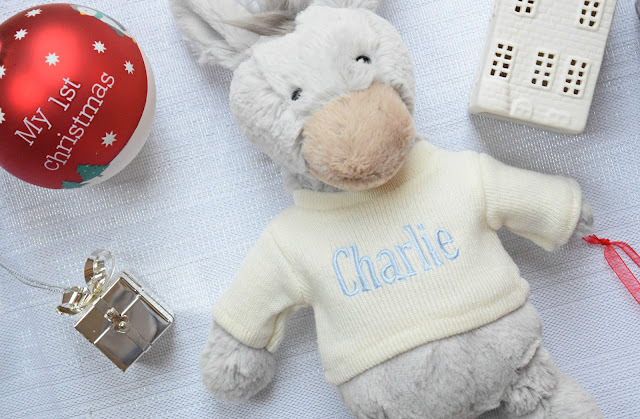 I hope this helps with some last minute ideas and that your little ones love what they find under the tree just as much as I know Charlie will! If you're really feeling in the festive spirit, keep your eyes peeled for tomorrow's last pre-holidays post which is all about Christmas traditions in our house...it's a little bit of indulgence that you'll want to read with a cup of tea and a gingerbread biscuit (or, at least, that's how I wrote it! ).